All over Britain this weekend bonfires will be lit, effigies will be burned and fireworks let off. But who was Guy Fawkes and why has it become a tradition? London police officers detained 33 people at the annual Million Mask March that is held in the city, local media reported. Hundreds of masked activists have gathered in Trafalgar Square, London on Saturday 5 for the annual Million Mask March. Massive protests against corruption and censorship in the UK capital resulted in the arrest of 50 people and left 3 policemen injured, the UK Metropolitan Police said in a statement on Friday. 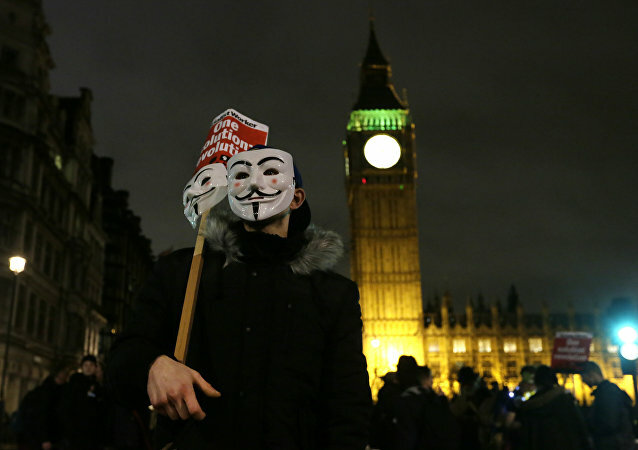 The London leg of the worldwide Million Mask March organized by Anonymous passed off with minor scuffles and fireworks befitting the Guy Fawkes Bonfire Night. As the Million Mask March commences across the globe, UK Metropolitan Police said on Thursday that three men have been arrested after officers on patrol in Trafalgar Square saw them carrying suspicious objects, like weapons and grenades. Reports have also surfaced that activists have set fire to a police cruiser. 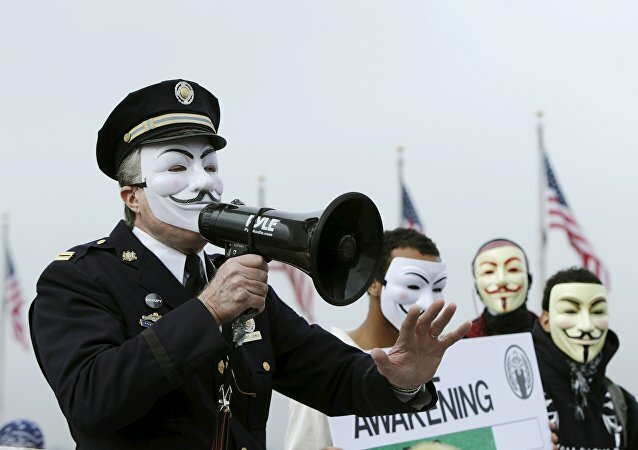 The Anonymous-led Million Mask March is set to take place on November 5, with tens of thousands of activists flooding the streets in over 671 cities. On Monday morning, Anonymous “hacktivists” released a list of names of people they allege are members of the notorious Ku Klux Klan, including four US Senators, five mayors, and several law enforcement officers.